It is well known that the name of the Empire style comes from the word Imperial, it appeared to replace the more restrained Classicism. This trend cannot be trite a priori. It is impossible to be implemented in the pure form in small spaces, so often this decoration causes puzzling and rejection. 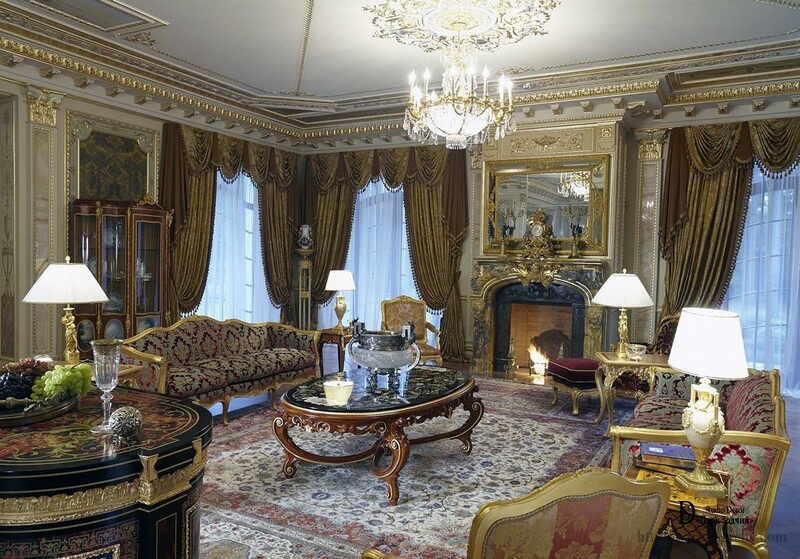 However, the luxury Interior happens to be, since even nowadays in such way various tasks can be solved to satisfy the wishes of the customer. The Empire style replaced the Classic style of the age of Louis VI. Pastoral themes of mural paintings, subdued tones of the Interior were replaced by triumphal motifs, which predominated in the heroic age of Napoleon. Elements of military symbolics: photo image, ancient warrior, are essential attributes of this style. 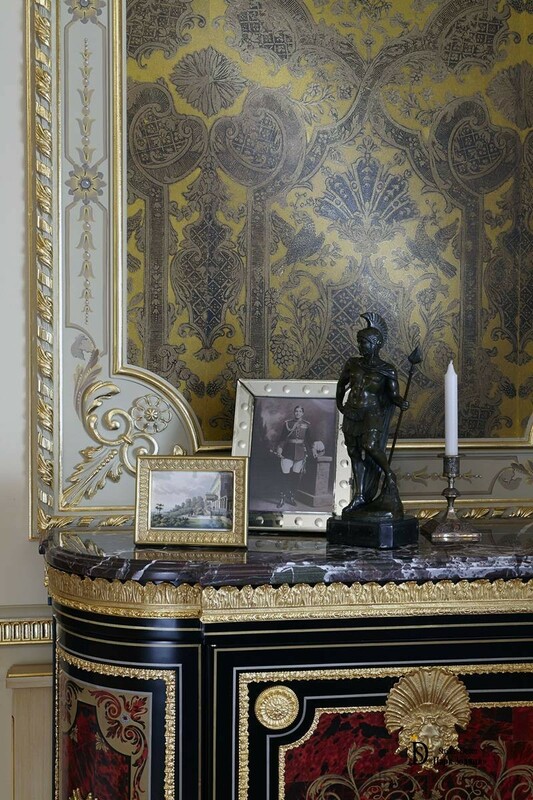 The theme is also supported by small mascarons in decoration of the furniture. Painting with the military theme complements the sitting corner. Small-scale divided glazing of the windows adds the palatial feature to the room. Miniature sculptures in ancient clothing does not overload the Interior and are its integral part. This style is characterized by the mirror symmetry of furniture arrangement and location of decorative elements, mural painting and rich lighting fixtures. Chandeliers are probably not as majestic as the canons of the Imperial style require. But in this case, another option would be inappropriate, since the ceiling height would not allow choosing a larger variant of ceiling lighting. Interesting decoration has been applied to finish the fireplace. 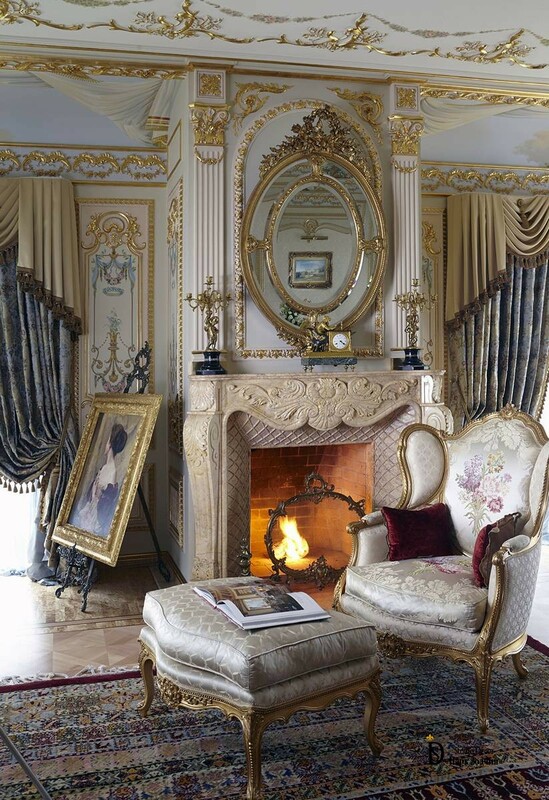 As an iconic element of the Interior, it is decorated with an oval mirror in the gilded frame and light-colored fireplace portal. 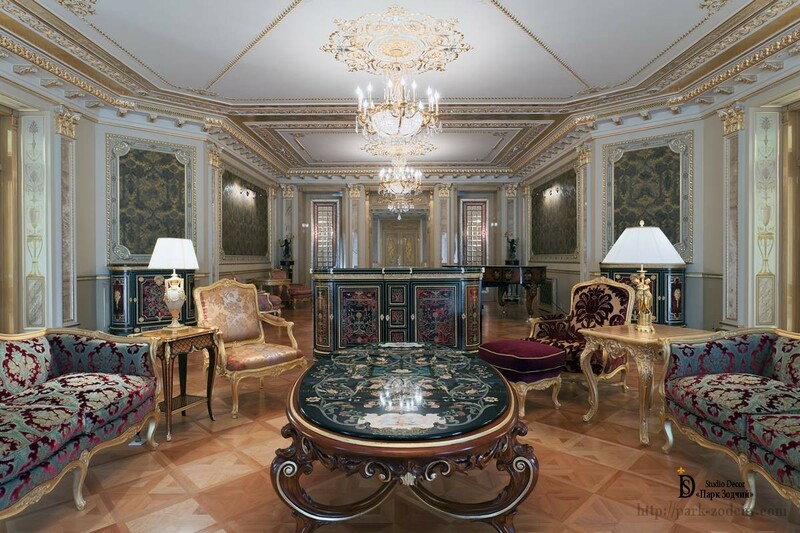 Unfortunately, the modern generation grew up on other traditions, and few people have seen, and even more has an idea of housing interiors of the bourgeoisie in Saint Petersburg. Old houses have lost the splendor of apartments and marble entrances, which now state in terrible aesthetical condition. Divided into separate rooms after the revolution, they have lost their integrity. However, even now, individual apartments impress with luxury of decoration, which the craftsmen of the past have used to create. They were created for successful people, lovers of beauty and high quality of the decorative elements. 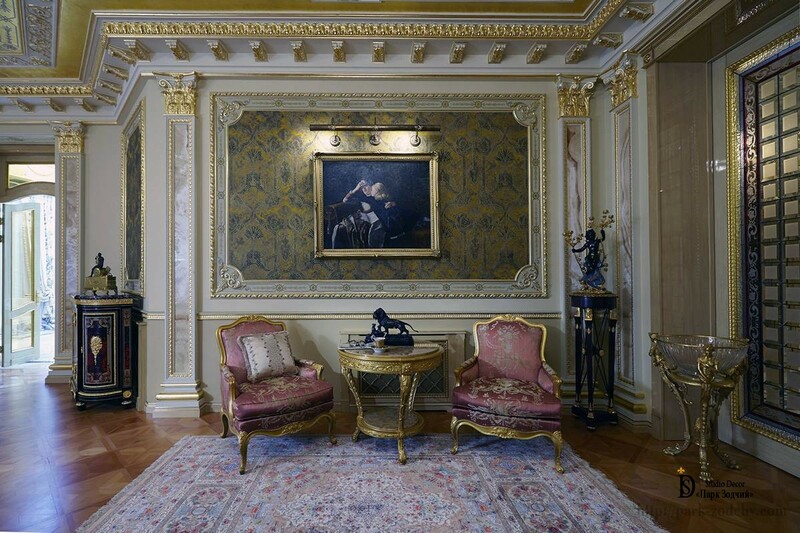 This Interior refers more to the style of Eclecticism, because it is difficult to recreate the Imperial-style rooms in the pure form. But it has been adjusted perfectly and has not turned into kitsch of 2000s.